If you are looking at spending a great day enjoying sports, the Esplanada Do Mineirao is the perfect place to visit. Located in the southeastern Brazil’s Minas Gerais state’s capital city, Belo Horizonte, this stadium is a famous tourist spot and is popular for its great gaming events. A perfect place to visit with your friends and family, this stadium is open all days of the week between 0700 hours and 2200 hours. Also, home to a museum, the stadium is a great place to learn about sporting history of Brazil. The stadium has facilities for cycling, skateboarding and soccer among others and is a take up a sport for yourself. 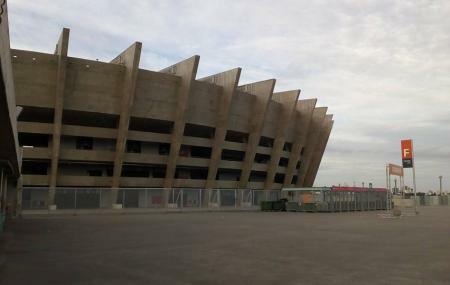 The stadium offers services for all tastes and pockets and is a must-see in Brazil. What an amazing place to spend a Sunday morning with my son! You can rent bikes there, for adults and for children. Excellent place for a stretch out. Good for kits ride on skate, rollers or bikes. There's not much shelters there, so be prepared for a good day of sun or rain. The biggest stadium in Minas Gerais. The unique has green energy for lighting ( solar blocks). Refurbished for World Cup - high standard for all cathegory! !